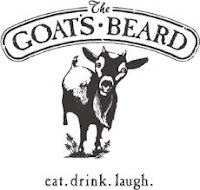 The newest dining addition to Manayunk is The Goat's Beard (4201 Main St., 267-323-2495), which marks gluten-free items like mussels, vegetable lasagna and scallops on its New American menu. Joe's Crab Shack opened another Delaware Valley location this week in Deptford (2000 Clements Bridge Rd., 856-254-2314). The chain's gluten-free menu lists crab buckets, seafood steampots and Caesar salad. Customers donating $10 to Autism Speaks will receive a coupon for a free Classic Steampot that can be redeemed between May 1 to June 15. Bertucci's has added several options to the gluten-free menu available at the Italian chain's many locations, including two grilled shrimp dishes and a flourless chocolate cake. On Tuesday, I posted a review of new Brazilian steakhouse Rodizio Grill, which has many gluten-free choices including delicious cheese bread to accompany the meal. 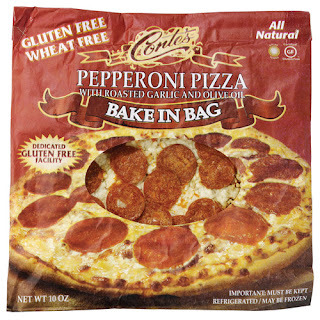 Gluten-Free Living magazine editor Amy Ratner reports that selected Wegmans locations are serving hot Conte's bake-in-bag gluten-free pizzas at their Market Cafe shops. (Disclosure: I am a contributing writer for the magazine.) According to the Wegmans blog, this is a pilot program at 41 stores in Pennsylvania, New Jersey, New York, Virginia, Maryland and Massachusetts. In the Delaware Valley, participating locations include Collegeville, Downingtown, King of Prussia, Malvern, Warrington, Cherry Hill, Mt. Laurel and Princeton. Wegmans says that the pizzas are assembled and packaged in a dedicated gluten-free facility and arrive to the stores frozen. When an order is placed the staff will put an unopened bag directly into the regular pizza oven to bake. After baking, the unopened bag will be placed in a clean pizza box and handed to the customer. 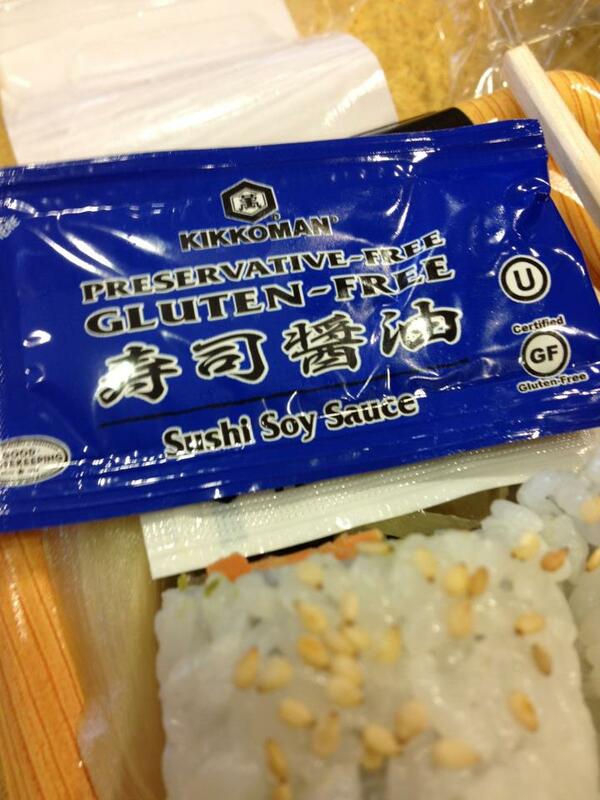 Wegmans is also including Kikkoman gluten-free soy sauce with packaged sushi sold at the Market Cafe. The C. Wonder women's apparel, accessories and home decor store at the King of Prussia Mall (160 N. Gulph Rd. Space 1308, 610-337-1680) is hosting an exclusive shopping party to benefit Celiac Disease awareness on Tues., May 7 from 6 p.m. to 8 p.m. Guests can enjoy cocktails, gluten-free sweet treats and 20% off purchases, with 10% of the event's proceeds benefiting the National Foundation for Celiac Awareness. RSVP by Saturday, May 4. At the recent Expo East food fair, Udi's announced several new gluten-free products. These include blueberry-cashew and cherry-walnut granola clusters, three more cookie varieties (peanut butter-coconut, sea salt caramel-cashew and chocolate chip-pecan), and three flavors of Ancient Grain Crisps, made with amaranth, quinoa, flax and millet. Be careful at Goat's Beard. Their "gluten free" mussels are served with a bed of fries in the same bowl. I didn't find out until the server brought out the dish that their fries are coated in flour before frying. I'm gluten intolerant, not Celiac, so I took my chances and just ate the mussels, avoiding the broth and fries. But your best bet will be to talk to the staff and verify that everything marked gluten free on the menu definitely is.